Breakout discussion sessions will be held on these categories, as outlined below, at the HBCU Library Organizational Meeting in Atlanta, Georgia on October 28 and 29, 2002. Improve and share knowledge about the value, location and content of special collections. Improve access to collections through preservation and digitization programs. Link digitized special collections at all HBCU’s through a portal designed specifically by its members to advance use of these materials and preserve their cultural integrity. 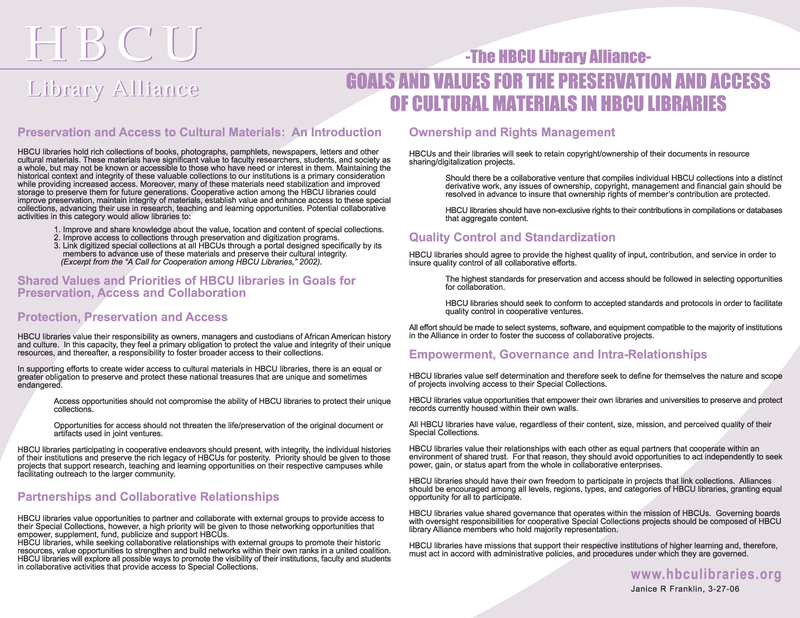 Analyze non-statistical factors of HBCU libraries, such as programs supported, expertise on staff, histories, etc., that would enhance libraries’ ability to work together. Create a portal linked to the web pages of all HBCU libraries. 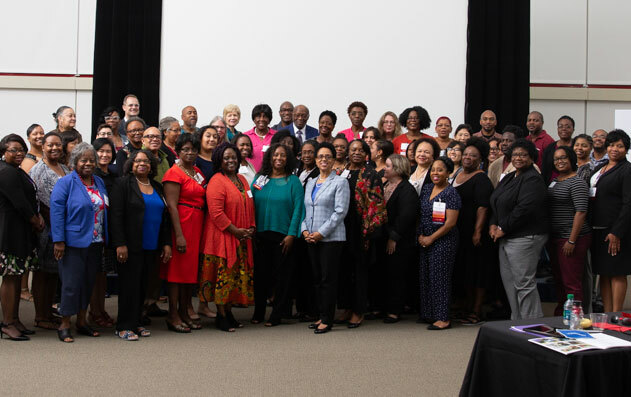 Develop programs to recruit and support the education of individuals to the library profession from among HBCU undergraduates, library staff, and other groups. Explore cooperative activities, such as shared cataloging and virtual reference programs, that can address operational needs through shared expertise at multiple HBCU’s. 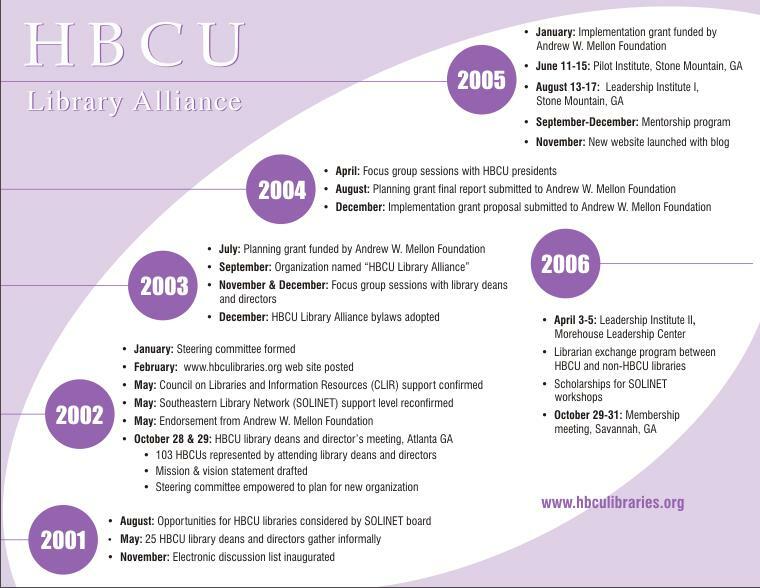 Create a virtual HBCU library collection by linking the catalogs of libraries and extending access to all HBCU faculty, students and researchers. Offer cooperatively developed and maintained information literacy programs that increase use of collections.